OWNER ASKING FOR ALL OFFERS TO BE PRESENTED! 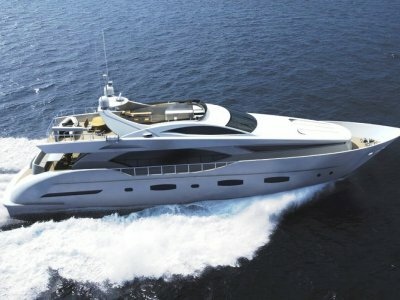 “Asian Yacht of the Year winner for 2012” is now available to purchase for the discerning buyer! This vessel is a demo boat and has only done one winning trip to the Shenzhen Boat Show in 2012. 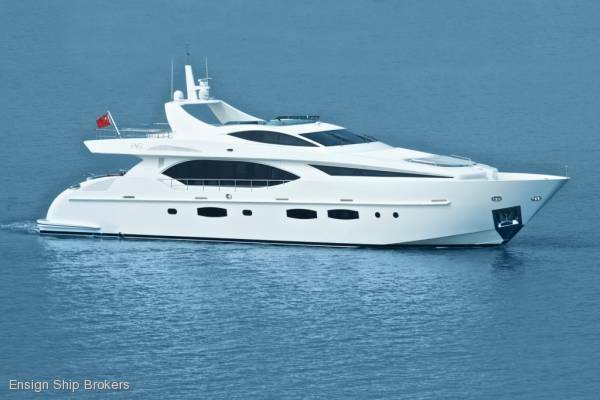 This outstanding 100’ IAG yacht presents as new with very low hours. The Electra is powered by two MTU M93 main engines that drive her to a maximum speed of 27 knots as well as economically cruising to a range of 2,000 nautical miles at 10 knots. She also boasts a shallow 4 foot draft and an optimal seaworthy ocean traveling hull form suitable for the most challenging conditions. When beauty meets technique, then you can speak about creativity... 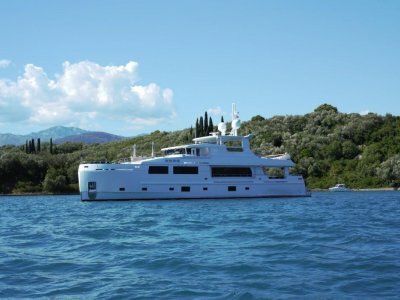 The Electra is the creative product of YD&AS, an Italian yacht design and architectural services firm, applying a beautiful Italian styling to combine quality and current fashion into a very comfortable and detailed perfection. 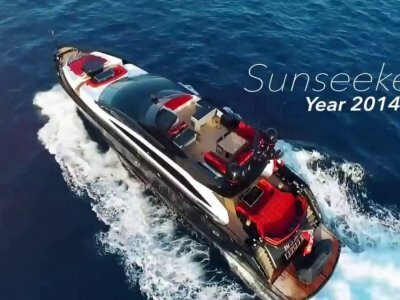 Beauty is often perceived as skin deep so the Electra goes beyond beauty into the substance… All machinery and equipment in the Electra are sourced from the most prestigious and recognized quality European and American manufacturers to ensure the yacht will provide total reliability and safety whilst cruising. 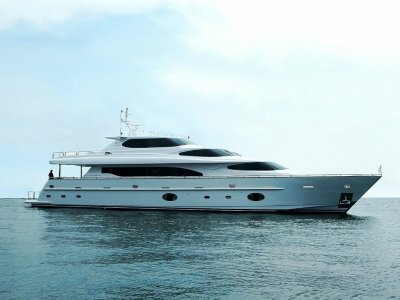 She is sitting at the IAG shipyard in Zhuhai China a short distance from Macau awaiting her new owner. Please call today to arrange a confidential inspection of this fine vessel. SALOON: The vast saloon benefits from tall, panoramic windows, providing comfortable space for dining and spending time enjoying the sophisticated entertainment system installed onboard. The interiors and exteriors are designed in perfect Italian style and realized using top quality materials. LAYOUT: Professional full beam galley located forward of the stylish separate dining area on the Main Deck.